This is still a great story. 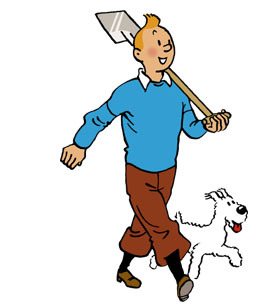 Is it true that the Tintin books soon will be available for iBooks much cheaper than this app? Why is professor calculus called mr. calculus in this translation? I love this Treasure Hunt Story. Great fun right from the first time I read it! Glad to have the digital version now on the App. That you can feel other feeling actually, it let you think you are with all legendary heroes as captain professer and tintin . That's why these comics are successful. All in one they let you in. With all respect to the great man hedge.